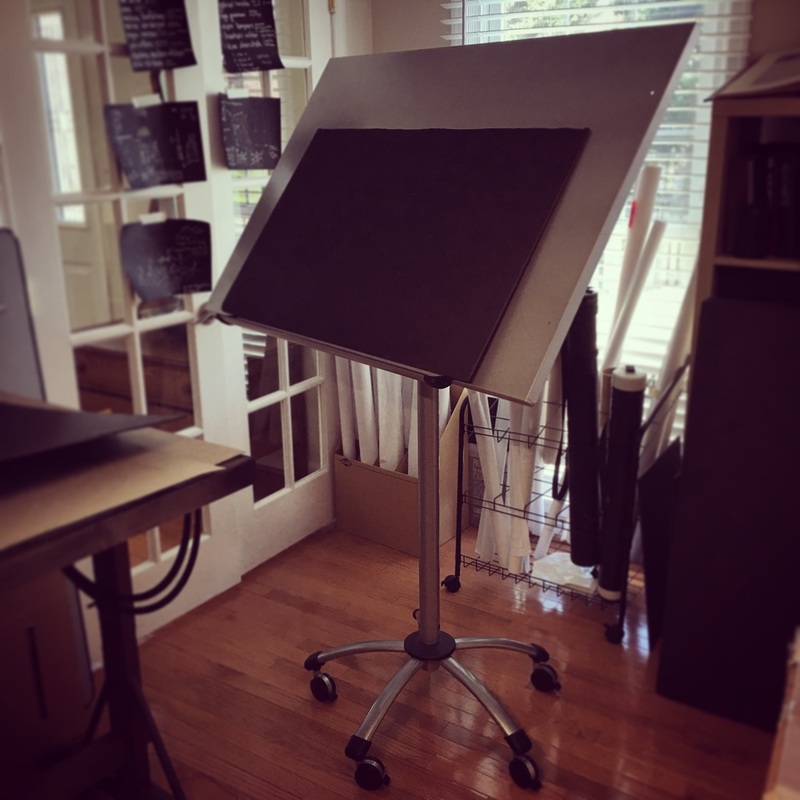 2 drilled holes, and Neuland sketch@work easels can hold a marker tray on the long side. Perfect for drawing landscape. Sorry Guido!